Our children have a wide choice of optional classes, taking place in the afternoon, usually after 2:30 pm. Additional charges apply. Children and parents are welcome to take part in a free class before taking a decision about enrolment. classes with a psychologist - "Emotikon"
Playing an instrument has a positive effect on a child’s development. It stimulates their psycho-physical development, improves manual co-ordination, develops their aesthetic sense and above all their musical talents. Learning to play an instrument stimulates both the left and right sides of the brain. It improves memory, concentration and creativity. It allows artistic expression (free jazz through improvisation). In the initial stage of working with pre-schoolers, I use the ‘learning by ear’ method, which focuses on ‘tuning the ear’ to sound, and ‘mobilising fingers’, or developing the agility that will allow the child to play notes that are intentional rather than accidental. We focus attention purely on movement and sound – eyes control fingers and ears control the sounds they produce. During lessons the children discover, through means of play, the shape of the instrument, and its range of high and low tones. In lessons, children are introduced to a short song which they try to play and sing by ear, thus developing their musical memory. A third of lesson time is dedicated to learning musical notation. "Creativity is the driving force behind human’s every action. The theme of my classes will be a meeting - a triad - of a teacher - guide, of a child - sensitive artist and the world - things, people and their emotions. My classes’ motto is: Each of us has a beauty. You only need to let it free. Each of us has been endowed with a special talent. It only must be nurtured. To grow you need to create, to create you must be able to love yourself and others." "The goal is not to educate the master. The aim is to educate people who love sports and spend time actively." What further distinguishes our approach is focusing on such choice of activities and how to conduct them so that they can be carried out directly in the institution. No troublesome and time-consuming commute to sports facilities. In the classes, the coaches create a fun atmosphere while maintaining healthy rules of sport competition. 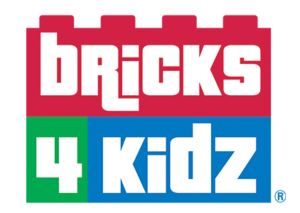 Bricks4Kidz is devoted to provide an extraordinary atmosphere for children, where we learn, we build and we play with LEGO bricks. Classes are designed to teach the fundamentals of S.T.E.M. (science, technology, engineering, mathematics) education, built around our propietary model plans, created by engineers and architects. At our classes we believe that Kids learn best through activities that engage their curosity and creativity. Our team is a group of professional tutors with years of experience in working with children. Students develop fine motors skills, participate in hands-on classes, gain practice, and nurture process-oriented thinking and abstract thought. 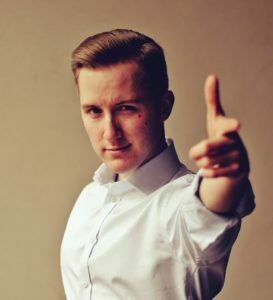 "I have been practicing dance for over 10 years. I have the highest dance class "S" in standard and latin styles. I have a bachelor degree in Animation Culture, obtained at the Faculty of Pedagogy of the University of Zielona Góra. Education in this direction allows me to conduct activities with children and young people in an attractive, unusual, interesting and cheerful way. In my dance class nobody has the right to be bored!" The purpose of the course is to develop a child's imagination, to embrace a shy child, strengthening concentration, strengthening body awareness, working on the voice, sharpening the reflexes.I teach sensitivity and empathy, teaching precision and patience, creation, work on emotions. Fun without toys.